Make no mistake – just because you may be bringing your own bottle of booze, does not mean that the food will not be bringing the flavor. If our list of some of the best North Jersey BYOB restaurants have anything to show you it’s that what they lack with the bar, they make up for in the kitchen – two-fold! No matter what you’re craving, one of these BYOB restaurants in North Jersey will hit the spot. From Mexican to Italian, seafood and Cuban, there’s nothing left to be desired (except for a trip to the liquor store on your way there). 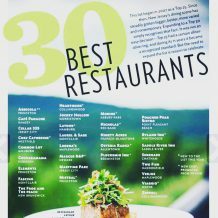 We’ve got award winning chefs, restaurants that have won praises from all over, and of course, our personal favorites. 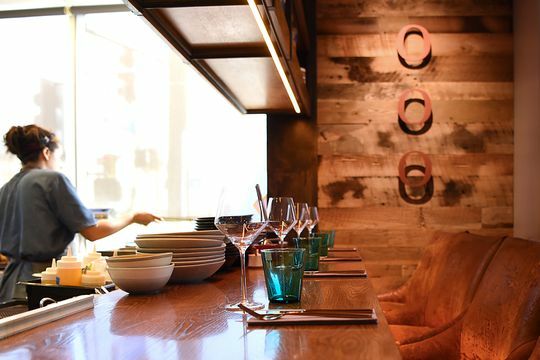 So it’s time to pop open some of your favorite bottles of wine and beer and find out just how spectacular these BYOB restaurants really are. You can also download our Locals InMotion iPhone® app for hundreds of events, restaurant specials, happy hours and more throughout New Jersey. Peter Loria still recalls with disappointment the time he tried to open a restaurant in Ridgewood. He poured a chunk of his retirement savings into what he thought would become a destination for New Jersey food lovers, but he hit a common roadblock. Loria is one of countless casualties of New Jersey’s notoriously restrictive laws governing who can sell alcohol. Those laws, which date back to the post-Prohibition era, limit municipalities to one liquor license per 3,000 residents. In places where demand is high, licenses can sell for $1 million or more — if they are available at all. The result is a dining scene that, in the words of Morris Davis, a Rutgers professor who studies the economics of real estate and housing, is “diseased.” And more problematic still, the laws are seen by local officials as holding back efforts to revitalize downtownsand attract new, often younger residents. New liquor license laws, experts say, could strengthen New Jersey’s economy. This list began in 2007 as a Top 25. 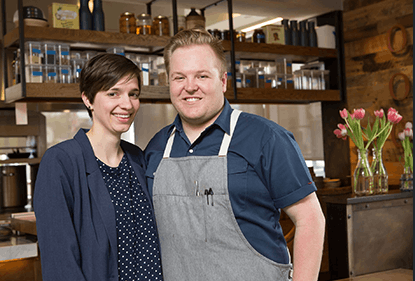 Since then, New Jersey’s dining scene has steadily gotten bigger, better, more varied and contemporary. Expanding to a Top 30 simply recognizes that fact. It was not an easy decision—Top 25 had a certain alliterative ring, and during its 11 years it became a recognized standard. But the need to expand the list is reason to celebrate. Why go: Don’t go if you’re looking for the usual fare — pasta, burger or even bread. 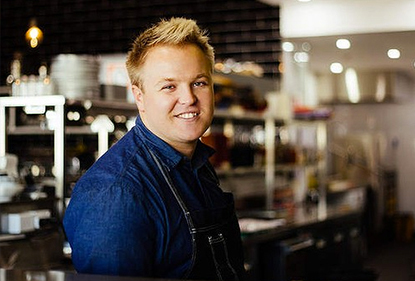 Australian-born chef and owner Ehren Ryan isn’t going for the same-old, same-old. 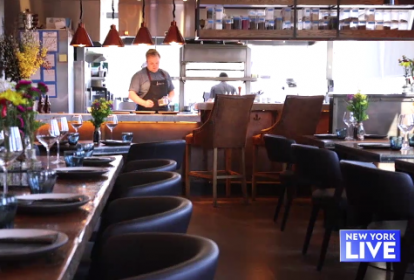 His rustic no-airs-about-it, grown-up restaurant has portobello-mushroom colored walls, wooden floors and an open kitchen and an intriguing menu with loads of possibilities for adventurous food lovers. Get his guacamole, studded with spring peas and topped with a sweet pepper relish, especially if you love cilantro (Ehren is not afraid to use herbs boldly). Try his crispy char-grilled cauliflower, served “al dente,” in a lovely lemon-y tahini dressing. 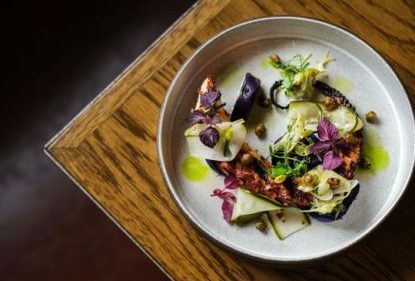 Enjoy his perfectly grilled octopus with fried capers, dark purple onions and spring onion relish in a shallow bath of shellfish oil. It has been on the menu, a waiter reported, since the restaurant opened in March 2016. 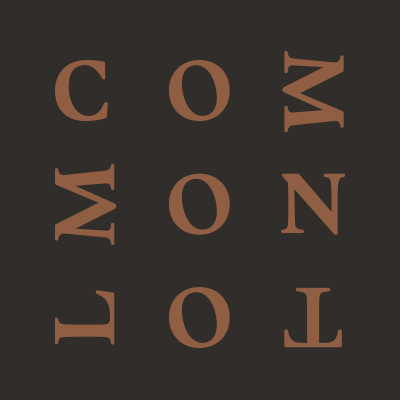 (The next year, Common Lot won the Garden State Culinary Arts award for Best New Restaurant.) As for entrées, you have a few single-serving dishes to choose from such as leg of lamb with fava beans and plancha-seared halibut or mains for two including 12-hour braised lamb shoulder. What may surprise you: This is one restaurant where you must make room for dessert. On the night I visited, I couldn’t decide which dessert was better: the silky-smooth goat-cheese cheesecake sporting edible flowers accompanied by heady lavender ice cream or the black sesame meringue stuffed with mousse-like creamy semifreddo atop dehydrated strawberries, pickled green strawberries and fresh strawberries. They were both divine. How much: Appetizers from $8 to $17; entrees from $26 to $36 with entrees for two starting at $82. Desserts are $10. The details: 27 Main St., Millburn; 973-467-0494, commonlot.com. 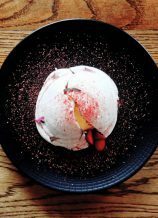 This black sesame semifreddo is one of the best desserts of the summer season: the black sesame meringue stuffed with mousse-like creamy semifreddo atop dehydrated strawberries, pickled green strawberries and fresh strawberries. It’s light, it’s refreshing, and it’s absurdly divine. Cost: $10. First time dad Paul hasn’t been out too much lately, so Ashley set up a day full of unique ideas for a date night in NJ. New Jersey was shut out last week when the list of finalists for a James Beard Award was announced. Why? Well, that’s a story for an opinion column. 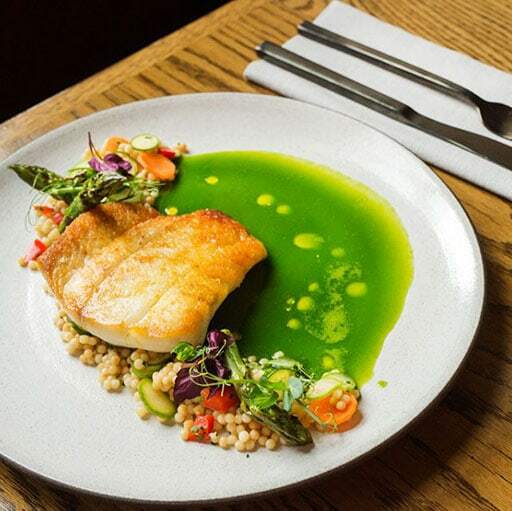 But there’s a New Jersey-centric dinner starting at 7 pm, on Monday, April 16 at the Beard House, located at 167 West 12th Street in New York, in which four top toques from the Garden State are cooking, along with two chefs from Pennsylvania. Called “Jersey Road Trip,” the dinner spotlights Anthony Bucco, of the forthcoming Felina in Ridgewood; Ben Nerenhausen, of Mistral in Princeton; Ehren Ryan, of Common Lot in Millburn; David Viana, of Heirloom Kitchen in Old Bridge; and Eric and Mark Plescha, of Charcoal BBQ in Yardley, Pa.
All chefs lead farm-to-table restaurants, and the menu they have created reflects that. Crispy Tête de Cochon with Pickled Vegetables; Smoked and Beer-Battered Forty North Oysters with Housemade Bread-and-Butter Pickles. The dinner: Salmon Tartare with Ponzu Gelée, Grapes, Sesame, Nori Cracker, and Micro-Herbs; Radiatore Pasta with Benton’s Bacon Bolognese, Arugula, and Yolk Sauce; Hudson Valley Rabbit with Beets, Horseradish, and Dill; Lamb with Sea Urchin Chowder, Peas, Fava Beans, and Lamb Prosciutto; Burning Ember–Toasted Umami Pie with Maple, Mushroom, and Brown Butter. The dinner is $135 per person for members and $175 for nonmembers; this includes wines, tax and tip. To reserve, call 212-627-2308. For more information, visit jamesbeard.org. Ehren Ryan is not like the others. New Jersey is certainly diverse, as are our restaurants. Yet, most of our chefs are much alike in one distinct but important measure: They’re New Jerseyans. Even those who are from elsewhere have eased in — spending years here — growing up, working. Among the rare exceptions are those who share our altitudinal gradient; they’re from New York or Philadelphia. He came to us via Australia, India, the Philippines, Canada and Hong Kong. Most importantly, he came to us from a Michelin-starred kitchen in one of London’s most prestigious neighborhoods. 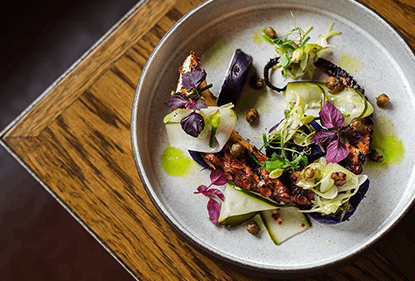 Sketch is really three restaurants in one, an Alice-in-Wonderland experience, eccentric and quirky but still, and you sense it as soon as you walk in, steeped in a certain incalculable British propriety. You may not know the rules, and the rules may change nightly, but the rules certainly exist. 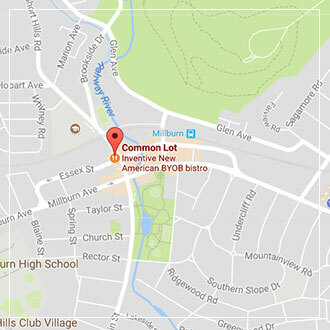 So, Ryan was nervous when he opened Common Lot in Millburn, unsure how we’d react to a menu that was more fine dining than not, in a restaurant with communal seating that was more casual than not. Not sure if we’d like his cheeky “bag of egg and crisps,” or respond to a chef whose previous customers counted themselves among the global elite in a city that prides itself on its innovative cuisine. Ryan is a cheese sommelier (yes, that’s a thing) who fiercely defends the rigor and discipline and the Escoffier sauces of a French kitchen. How would New Jersey respond?